Elena provides the ultimate in skin care. 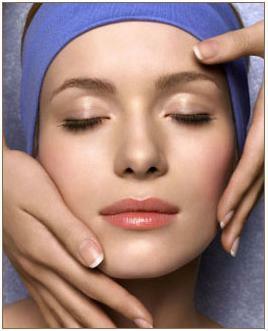 Since different types of skin require different types of facials, Elena will tailor a facial to suit your skin’s needs. Years of experience help her to understand underlying and reoccurring skin problems. Facials will help reduce oiliness, sun damage and encourage cell rejuvenation. Results are often noticeable right away – a younger, cleaner, more vibrant complexion – and can improve with maintenance and multiple visits. Working with clients, she helps teach you about your skin and what you can do to help and heal any ailments. After a thorough skin analysis, Elena will recommend a routine best suited for your skin type. Using the highest quality European products and a gentle touch, Elena will help you achieve healthy, radiant skin. A back treatment is basically a facial specially formulated for the back. Back treatments utilize many of the techniques used in facial skin treatments and are supposed to clarify and soften the skin. People often have trouble maintaining a skin care regime for their backs since it is hard to reach. Back treatments are especially helpful for people who have issues such as clogged pores or acne on the back. Using her consultative approach Elena will customize a back treatment that will give you a healthier looking, glowing back. *Since each facial and back treatment is different, prices may vary.